Furthering its commitment to provide world-class service and in-field sales support for ELAN and its iconic audio and power brands, Core Brands today announced the appointment of Jay Cary as Account Manager - Mid-Atlantic Region, Chris Hornsby as Regional Account Manager – Rocky Mountains, and Travis Klatt as Regional Account Manager – Southwest. With a career dedicated to the consumer electronics industry, Jay Cary joins Core Brands as Regional Account Manager - Mid-Atlantic. He is responsible supporting dealers in growing their ELAN and other Core Brands business throughout Delaware, the District of Columbia, Maryland, Virginia, Southern New Jersey and Eastern Pennsylvania. Prior to joining Core Brands, Cary served for 13 years as Vice President of Sales at The Aurora Group. Before that, he held roles as Business Marketing Manager at Bose and as Vice President of Sales and Training at HES. Chris Hornsby joins Core Brands as the Regional Account Manager – Rocky Mountains. Hornsby is in charge of working with the region’s dealers to grow Core Brands’ dealer base and ELAN business in Colorado, Montana, Idaho and Wyoming. Hornsby has over ten years of experience in the CI, Security and Distribution channels working for Tyco, ADT, Savant and WAVE Electronics. Travis Klatt joins Core Brands as the Regional Account Manager – Southwest on the custom installation sales team. Klatt is in charge of supporting Core Brands dealers in Arizona and New Mexico, along with Las Vegas, NV and El Paso, TX. 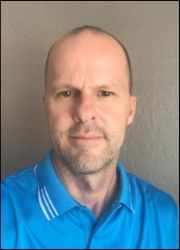 Klatt brings over twenty years of experience in the audio and video space to his new position, the past 13 years with DAGR Design, an integrator in Phoenix, Arizona. Prior to DAGR, he managed large retail locations for Best Buy and Ultimate Electronics. For hi-res portrait photos, click here.